Polarion helps your team achieve continuous delivery with a single, unified solution for requirements, coding, testing and release. Buy the support you need for your on-premise or hosted Polarion solution. Mass customization is increasingly being enabled and facilitated by software. Theoretically, software variation has no limits, and can be customized to an individual level. 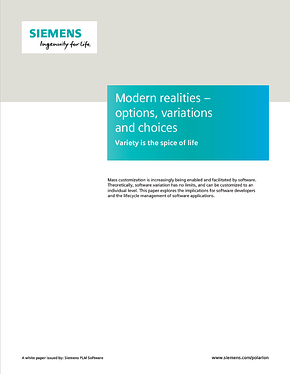 This paper explores the implications for software developers and the lifecycle management of software applications.